Gov. Aminu Tambuwal of Sokoto State, on Tuesday, urged judiciary stakeholders to work as a team to overcome the corruption challenge confronting that arm of government. He made the call at the swearing in of new Chief Justice of the state, Justice Bello Abass in Sokoto. Tambuwal said that the recent arrest of senior members of the judiciary placed a huge burden on that arm which required unity of purpose to overcome. He added that the judicial arm of government had an important role to play in the society, and judges must always live above board to set examples. He said his administration would partner with all arms of government to ensure quick and efficient dispensation of justice for the benefit of the society. 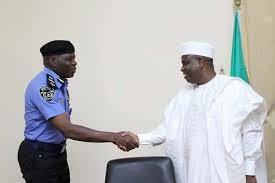 Tambuwal noted that “for us in the executive, we consider the other two arms of government as equal partners. We will stand side by side with the judiciary to ensure quality justice is dispensed. “What the judiciary is facing in Nigeria today is a crucial moment. “However, I want to assure the judiciary arm of the Sokoto State Government that we will work with you to achieve success.” Tambuwal further admonished family and friends of the new Chief Justice to avoid exerting undue pressure on him, “because he has little or no favour to dispense. “Let me appeal to family, friends and well-wishers not to exert undue pressure on the Chief Justice because he has no contract to give, and has no favour to dispense. “You should pray for him to enable him to succeed in his new task.” Justice Abass succeeded Justice Aishat Dahiru who retired from service last August after serving for 20 years as Chief Justice of Sokoto State. Abass had been acting as the state’s chief judge since May.